HNHH's top 10 tracks according to our Hot 100 chart. 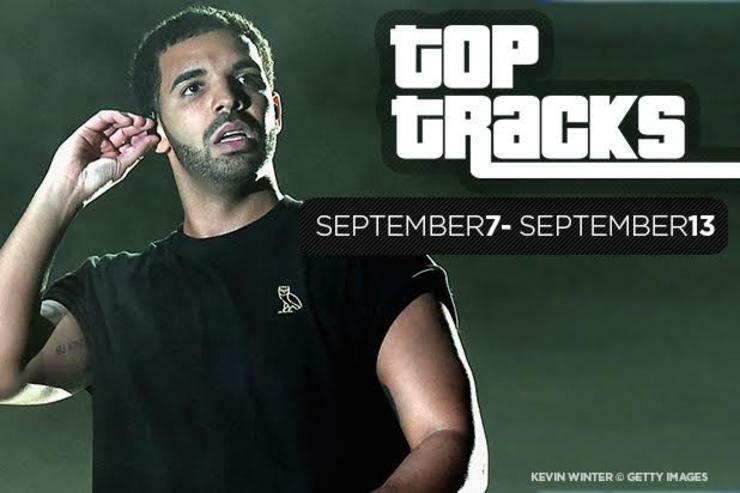 Only the date and the name of the Drake track at the top of the Top 100 change. Drizzy Season is a misnomer because seasons end and OVO is eternal. Young Thug can’t get any love on HNHH, but you throw him over some Toronto Sound and it gets eaten up. Detroit rapper Amir Obe and PND sound positively chilly as the weather’s starting to turn. “I’m Good” was the week’s big climber, jumping a full 62 spots to come in at #10 in its second week on the charts. I’ve learned not to predict a Drake song might drop off the charts. They just hang around far past any logical amount of time. But with a 7-spot drop over last week landing “Hotline” at #9 in its 7th week on the charts, I’d take even money that this one will be gone by next week. We aren’t going to sugarcoat it. It can be really hard being Lil Wayne fans. His questionable forays into other genres and unquestionable creative slumps put strain on anyone who advocated for him during his run of all-time excellent mixtapes. But then he drops a track like “What You Sayin’” something that nods back to the reason we paid for Carter releases in the first place. This track came in a #8 in its first week on the charts. Not quite. But this Mike Will Made It-produced track offers a glimpse of what might be the best Khalifa release in a long, long time. “Burn Slow” fell four spots in its second week to land at #7. Shame on everyone who questioned Kendrick. This Black Hippy posse cut is an absolute monster off of Jay Rock’s album 90059. The track came in at # 6 in its first week on the charts. Y’all didn’t like the radio rip of this track several months ago, and the CD Quality version didn’t win over any additional hearts. “The Summer League” gained enough eyeballs to land at #5 in its first week in spite of the negative reception. Rodeo was disappointing, but at least this turn-up anthem delivered. Scott recruited Drill Jesus and one half of party-rappers du jour Rae Sremmurd for this track, which fell three spots from its number one debut. Exhibit B in the case of Wiz’s resurgence. And Snoop was on his A game, too. “No Social Media” is an odd track from two rappers who use Twitter and Instagram so heavily, but still. It rose all the way to #3 in its first week on the charts. Lil Wayne continues his hot streak and Fetty Wap has officially obliterated any one, two or even three-hit wonder talk. This remix of an already great Durk track brought the starpower and landed the #2 spot in spite of a debut at the #40 spot last week. A song by Drake with a Kanye West production credit? That’s destined for the top spot (even if it’s not very good).